McDonnell & Sons / Stone Art Memorial Co.
History - McDonnell & Sons / Stone Art Memorial Co. Illustration from historic sales brochure courtesy of Stone Art Memorial Co. Illustration from 1927 sales brochure courtesy of Stone Art Memorial Co.
2007 photo of 858 Main Street, Buffalo, now part of the Granite Works complex. West Seneca 1172 Ridge Road address changed to Lackawanna 914 Ridge Road. Note the large McDonnell & Sons crane on right side of photo. 2012 photo of 914 Ridge Road. 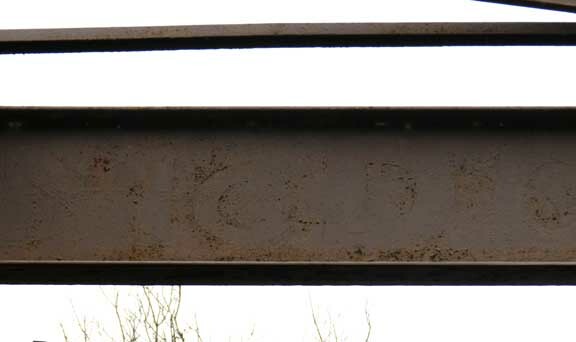 Detail - McDonnell & Sons crane. McDonnell name barely visible. 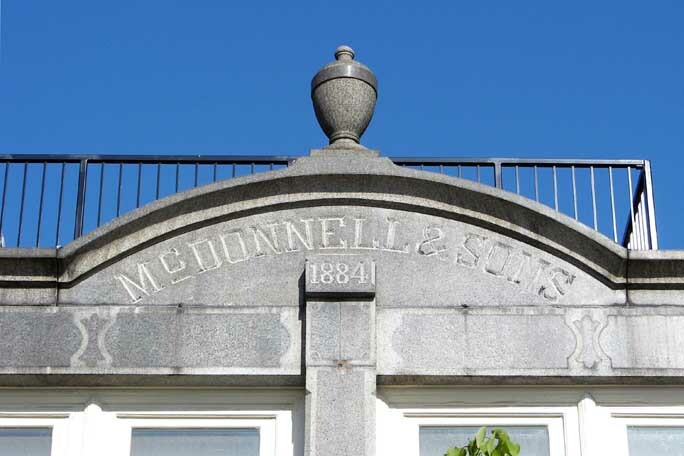 McDonnell & Sons was founded in granite-rich Quincy, Massachusetts by Patrick McDonnell, an Irish immigrant once employed as a stonecutter in the local quarries. Patrick retired in 1881, handing the reins to his son John Quincy McDonnell. 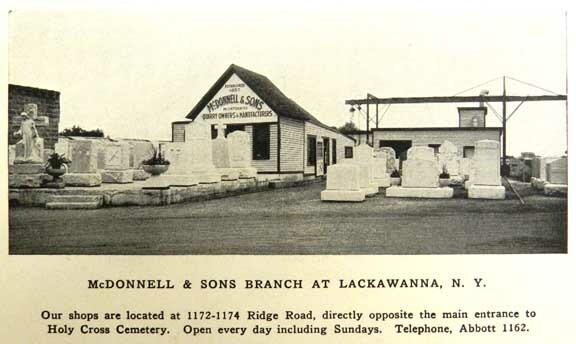 The Limestone Hill Granite Company was located at 914 Ridge Road, Lackawanna (the current location for Stone Art Memorial). At that time, this area was known as Limestone Hill and was part of West Seneca. 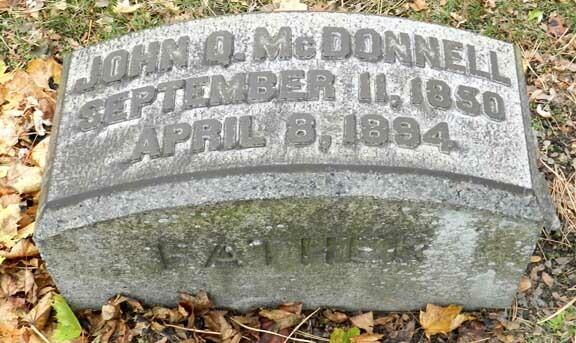 John Quincy McDonnell, son of Patrick McDonnell, moved with his wife and seven children to Buffalo in order to open a branch office of McDonnell & Sons, which came to be located at 858 Main Street, between Allen and Virginia streets (Another son, stayed in Quincy to manage the family's business there). Limestone Hill Granite Company purchased by McDonnell & Sons Granite Company. 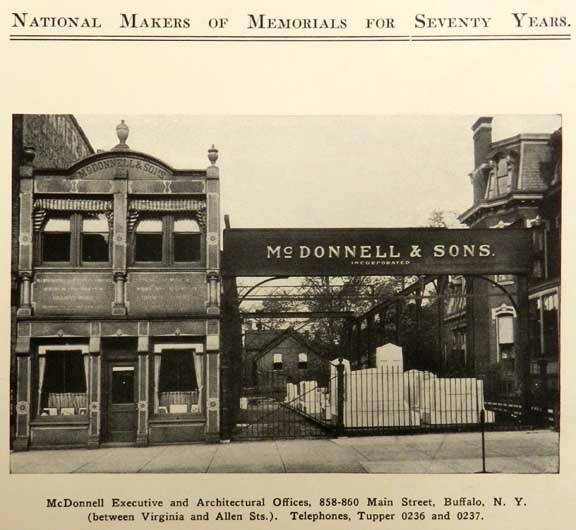 By this time, McDonnell & Sons was one of the premier memorial builders in the United States with a full staff of architects, designers and builders. 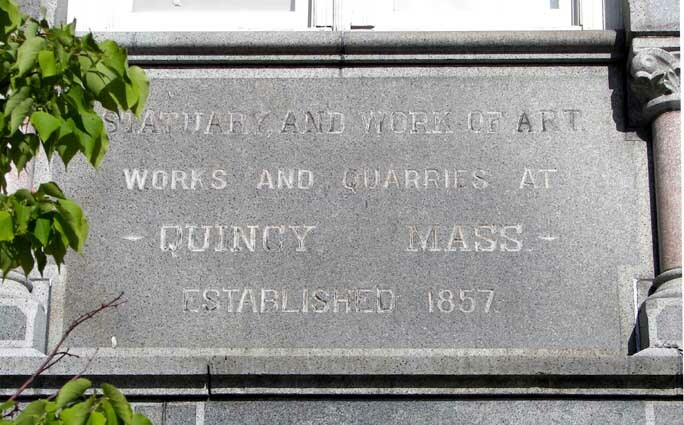 In addition to their holdings in the Buffalo area they operated manufacturing and quarrying facilities in Quincy, Massachusetts and then Barre, Vermont. John McDonnell dies. 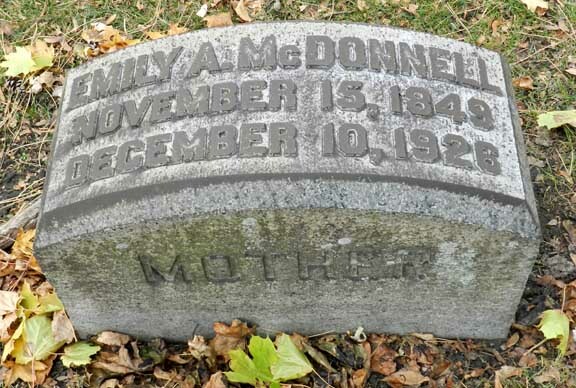 After her husband's death, Emily did something bold for a middle class, middle-aged Victorian widow with dependent children: She bought out her brother-in-law Thomas's interest in the company. 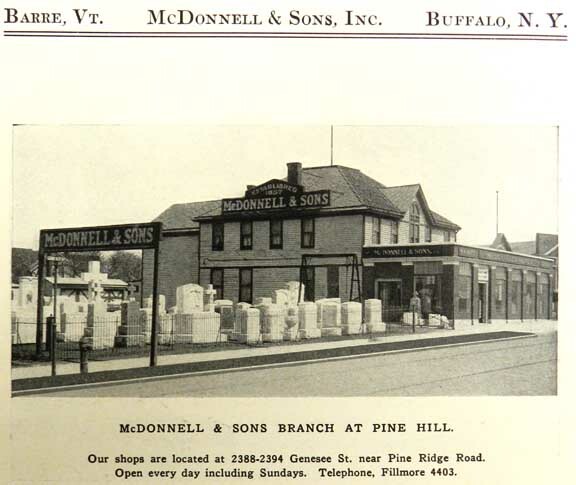 By 1900 McDonnell & Sons had two additional local branches, another two in central New York, one in Connecticut, and one in Indianapolis. Emily served as company president until her death in 1926. 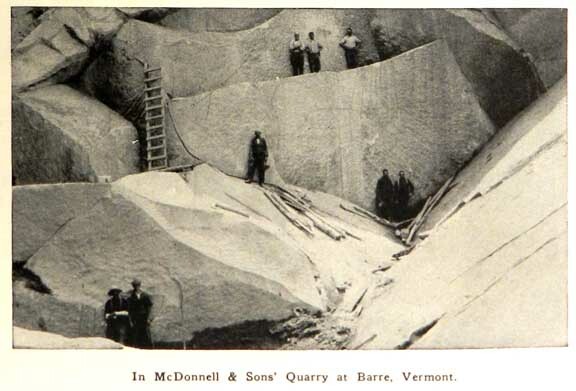 In a circa 1926 company brochure, McDonnell & Sons claimed to be the largest granite firm, by sales, in the country. Emily's obituary in the Courier-Express described her as a nationally-known businesswoman. After the closing of the McDonnell operation in Lackawanna, Chester A. Rowley, an experienced designer/architect who learned the trade while working for McDonnell & Sons, purchased the Lackawanna facility. 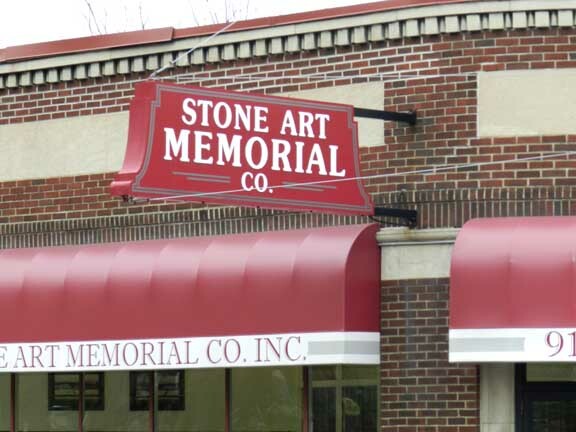 Changing the name to Stone Art Memorial Company, Chester Rowley operated the business until his death in 1985. At some point in the 1940s, with Emily's son James in charge, McDonnell & Sons moved out of 858 Main in Buffalo and into a comparatively plain brick building on nearby Main Street. James died in 1951, the last family member to head the operation. In 1968, after 84 years in Buffalo and 111 years after its founding in Quincy, McDonnell & Sons vanished from the Buffalo Polk Directory, the annual "City Directory" of households and businesses. 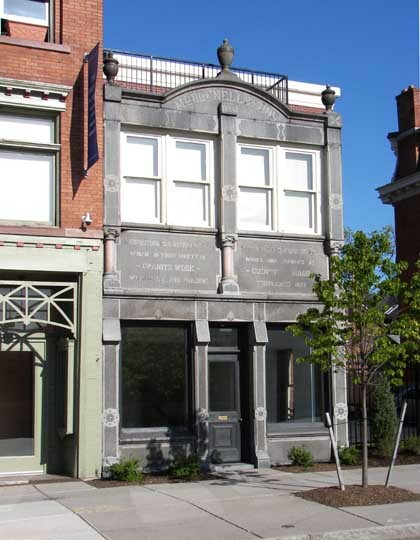 John T. and J. Thomas Koch purchased the Stone Art Memorial Company from Mrs. Gertrude Rowley. Prior to the purchase of the Lackawanna business, John Koch operated a funeral business in Ulysses, Pennsylvania and served many years as the county coroner of Potter County in Northern Pennsylvania, 100 miles south of Buffalo. J. Thomas Koch began working in the family memorial business at 13 years of age and upon graduation from high school moved to Barre, Vermont to work in the manufacturing part of the business and attend the Barre Stone Trade School which was the only school of its type at the time. Stone Art Memorial Company, Inc. is Erie County’s exclusive partner with the Rock of Ages Corporation of Barre, Vermont, which began business in 1885. Holy Cross Cemetery Ridge Road entrance, located directly across the street from Stone Art Memorial Co. 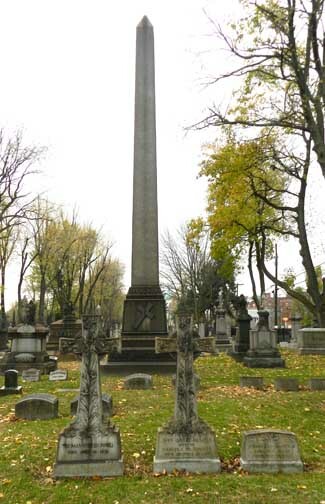 The McDonnell Monument (not shown) is slightly off to the right. 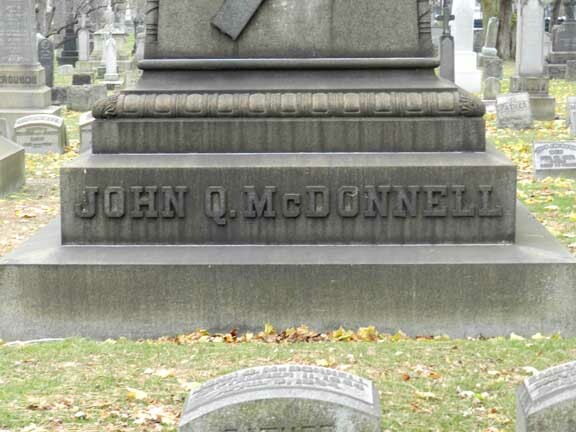 In 1894, John McDonnell dies. After her husband's death, Emily did something bold for a middle class, middle-aged Victorian widow with dependent children: She bought out her brother-in-law Thomas's interest in the company. Emily served as company president until her death in 1926. 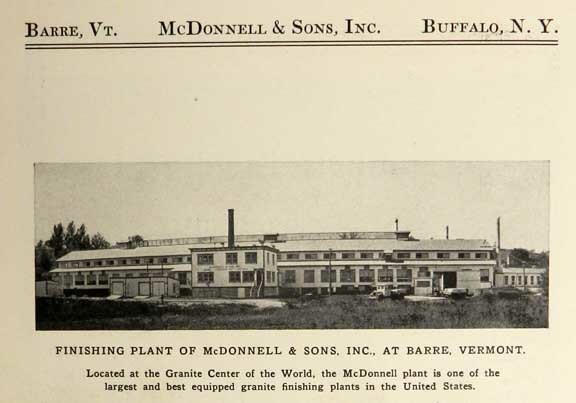 In a circa 1926 company brochure, McDonnell & Sons claimed to be the largest granite firm, by sales, in the country. Emily's obituary in the Courier-Express described her as a nationally-known businesswoman.